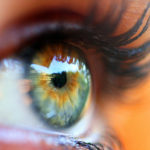 Rejuvenating your eyes can be that little step that goes a long way. When we talk about looking young, looking fresh and new and energized, it’s all about the eyes. When you’ve been up all night after a late shift, when you’re tired, it’s the eyes that give it away. Sometimes you see people who are in their forties or fifties with the eyes of a thirty year old. Usually, when we see these people, we think they simply have good genes and got lucky, and that’s why their eyes don’t look so old. In reality, if you could get most of these people to reveal their secret, they might confess that they took matters into their own hands and had a little help. Perhaps they had an eyelid lift or blepharoplasty surgery. The first question you have may be “What is blepharoplasty?” This is a surgical procedure to tighten the skin and readjust the contours of the fat bags. It is usually performed at a hospital or surgicenter with IV sedation (twilight). This can take 1-2 hours depending on if it is upper eyelids and/or lower eyelids. Recovery involves placing ice packs, keeping the head elevated, putting on ointment on the incisions or eyedrops in the eyes for about one week. Bruising and swelling can last 10-14 days. A supplement may be recommended to help speed up the bruising and swelling. Non surgical blepharoplasty may be recommended using a filler like Restylane® to fill the hollows under the eyes and get rid of the tired look. Filling the hollows can camouflage the fat bags by smoothing the contour of the eye area. 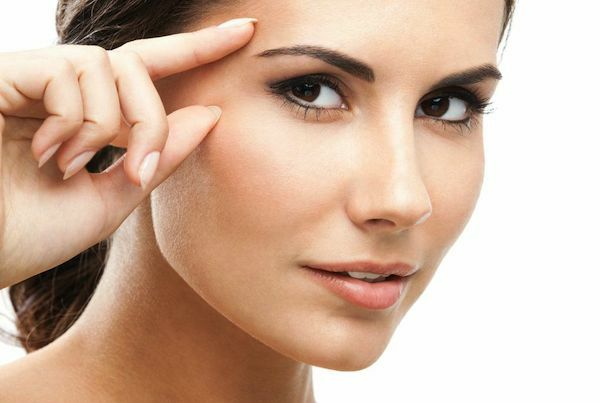 Upper blepharoplasty can be performed by excising the excess skin and volumizing the brow fat pad for youthful contours using various techniques. If the eyelids are drooping, ptosis can be addressed at the same time using various lifting techniques. If there are fat bulges these can be addressed as well. Fat Transposition Blepharoplasty: The most exciting new advance is fat transposition blepharoplasty. This technique takes the bulging fat and repositions it in the hollow area below it through and incision in the back of the eyelid. This smooths the contours and does not change the eyelid shape or position. This has been a revolutionary advance in eyelid surgery and is great for both women and men. Skin changes can be addressed with a laser, a skin peel or a skin pinch. These techniques will be discussed with you at the consultation. Transconjunctival blepharoplasty: The eyelid fat is sculpted and minimized through a hidden incision. This is a great technique for a young person with genetic eyelid bags, tight skin without hollowing underneath. The skin can be addressed with lasers, peels or a skin pinch procedure. Smoothing the Lid cheek junction: The eyelid is adjusted layer by layer. The fat is addressed through the back of the eyelid and the skin and muscle are each individually addressed. The junction between the eyelid and cheek are smoothed out rejuvenating the eyelid area. Anterior approach. An incision is created under the eyelashes to sleek and tighten the skin and muscles. This is a great procedure for mature patients with a lot of excess soft tissue. Canthoplasty: The lower eyelid is supported with a variety of techniques to allow for optimal positioning of the eyelid. This can smooth the contour of the eyelid and can correct or prevent eyelid malpositions. There many non invasive methods of rejuvenating the skin around the eyes such as Botox/Dysport, Restylane, Pelleve, Micropen microneedling, lasers and peels. 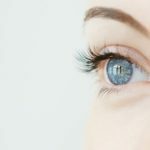 These methods go a long way towards eyelid rejuvenation, but for many, blepharoplasty may be the best answer. Especially if there is an excess of fat or baggy skin, blepharoplasty may be the right choice for you. As long as you undergo the procedure in a hospital or surgicenter with an experienced and board certified surgeon, blepharoplasty can be very low risk. Small incisions are carefully hidden in anatomic lines in the eyelid or in the underside of the eyelid which are not visible. After the healing process is complete, people may ask if you had your haircut or went on vacation. They may not be able to identify what is different about you, but they know you look great. If you wish to undergo blepharoplasty, schedule a consultation with an Oculoplastic Surgeon or a surgeon with extensive experience around the eyes. She will be able to examine you and discuss with you the best options for eyelid rejuvenation both surgical and non-surgical. .